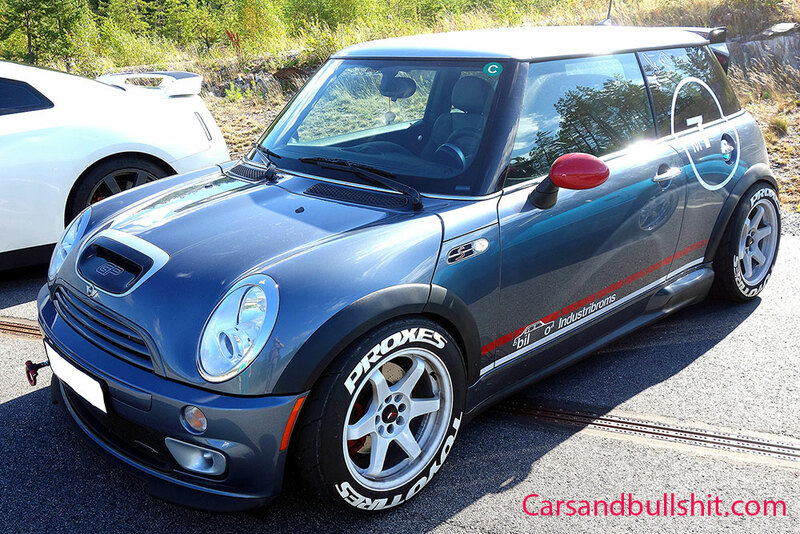 This is an awesome Mini Cooper S John Cooper Works from 2007 that has got a lot of love. 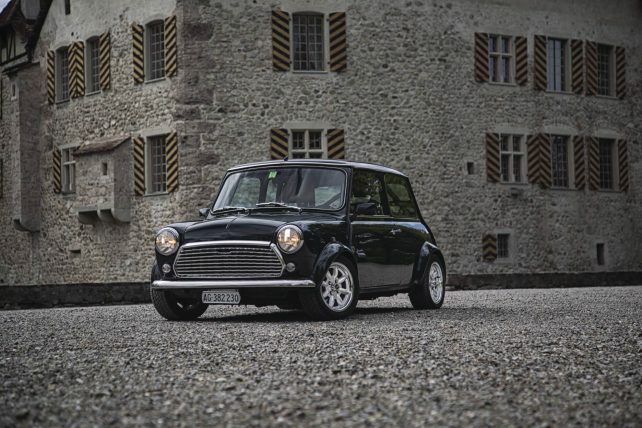 A very spiced up Mini, who has got a lot of parts from John Cooper Works. Its small, light and packs quite a punch. 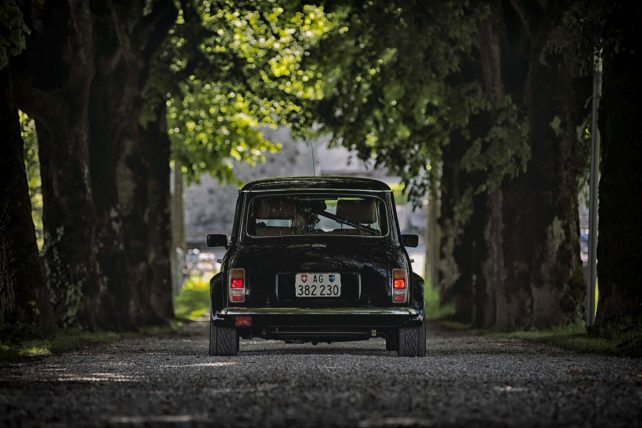 The original Mini Cooper S had 175 bhp, but the JCW was a bit stronger delivering 211 bhp at 6000 rpm. It has better torque, 260 Nm and an overboost pumping out 280 Nm. This is achieved by means of a new, uprated turbocharger, larger-bore exhaust and a sportier ECU map. 0–100 km/h takes just 6.3 seconds. With these awesome Toyo tires, you might guess that the car above is slightly faster than the original JCW. It also had a fantastic sound.